The fight to end violence against women is not merely a female issue; it’s a human dilemma. Men’s voices are an important part of the dialogue. 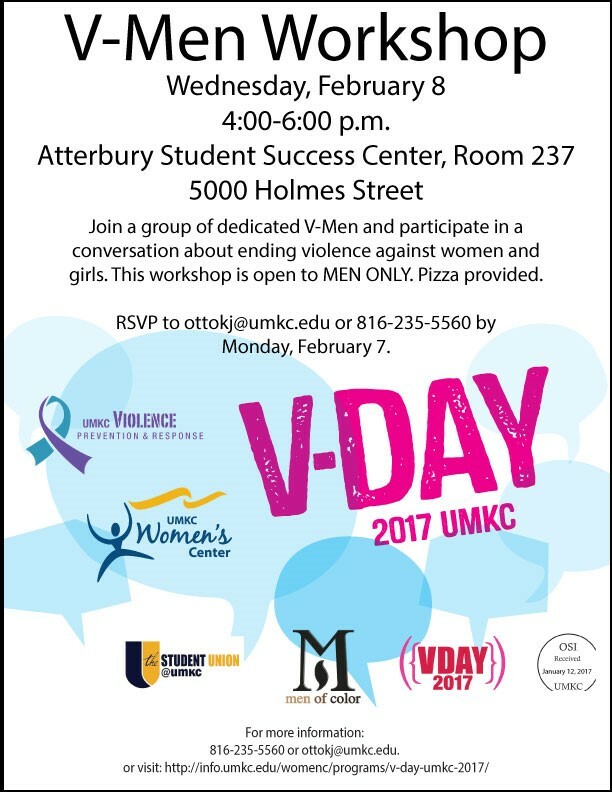 On Wednesday, February 8, 4:00 – 6:00 p.m. in the Atterbury Student Success Center, Room 237, 5000 Holmes St., join a group of dedicated V-Men and participate in a conversation about ending violence against women and girls. This workshop is open to only those who identify as male. Pizza will be provided. 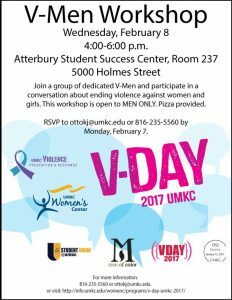 Co-sponsored by the UMKC Violence Prevention & Response Program, UMKC Student Auxiliary Services, and UMKC Men of Color Initiative.